Can water ATMs ease the daily struggle of the poor in Bhubaneswar? At Mamata Gharana, Bhubaneswar’s first community home for members of the transgender community, Madhuri Kinnar, 38, is happy that she and her mates — over 70 others who stay here — now have access to clean water in their own slum for consumption. “Transgender people are highly vulnerable to urine infections, which is mostly caused due to use of unsafe or contaminated water,” said Madhuri, adding that the untreated pipe water they got smelt of iron rust or bleaching solutions, and often caused several other diseases like gastric and stomach infections. 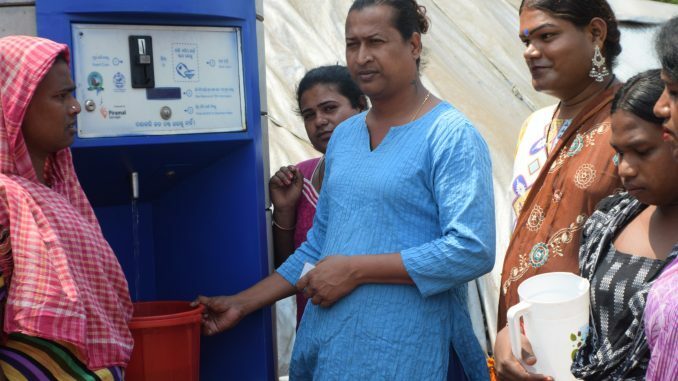 For all these citizens living in the slum, the water ATM (Automated Teller Machine) set up earlier this year by the Bhubaneswar Municipal Corporation (BMC) has come us a much-needed respite from their daily struggle for clean water. Today, Madhuri, Bijuli and others in the community use RFID (Radio Frequency Identification) cards at the water ATM to access 10 litres of clean water a day per card. Almost everyone has one or two cards to avail water from the ATM. “The food we cook is tastier now and it doesn’t get yellowish as it used to, when we were using normal water from the pipes,” said Madhuri with a broad smile. 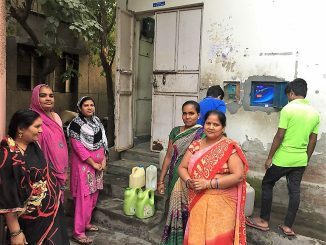 In the nearby Sriramnagar slum, 27-year-old Nishamani Bal and Madhusmita Mohapatra, aged 34, vouch for the change in their lives after getting access to quality water through the ATM in the slum. As 10 litres of water a day falls short of meeting the regular drinking and other consumption needs of their families, both have subscribed to three cards each. With a population of over 8,000, Sriramnagar slum has seen the issue of 1785 cards, out of which 1412 are being used regularly, according to official sources. Most of the dwellers have multiple cards with lifetime validity, each obtained for a one-time subscription fee of Rs 25. “The idea is that charging for clean water shouldn’t be such that it restricts the user from availing it,” said Anuj Sharma, chief executive officer of Piramal Foundation’s Piramal Sarvajal, which has a contract with the BMC to set up water ATMs in the slums and manage them. Installed with a supply capacity of 30,000 litres per month nearly a year ago, these ATMs now provide around 2.9 lakh litres of safe water every month to slum dwellers in Bhubaneswar. The ATMs are located in places where uptake is more, Sharma added. At present, the city has 40 such ATMs under four hubs, of which 39 are operational, according to Lalit Badhai, project manager of Piramal Sarvajal for its Bhubaneswar operations. “The four operational hubs source water from the supply from PHED (Public Health Engineering Department) and purify it through RO/UV (Reverse Osmosis/ Ultra Violet) technology before sending the water in 500-litre shield tankers to the water ATMs. While a customised tanker vehicle dispenses water through a no-touch transfer mechanism, the remotely tracked ATMs send out a signal when the water volume in the tankers comes down to 150 litres,” Badhai explained. This helps them ensure uninterrupted 24-hour water supply. This is a big relief for people like Jhuna Behera in Tarini slum, who is visibly happy to have access to pure water anytime she wants, throughout the day. Despite the strides taken in making cheap, clean water available to the poorer communities in the city, BMC still has a long way to cover when it comes to the question of right to safe drinking water for all. With the water ATM network covering 40 slums now, the rest of Bhubaneswar’s 436 slums are still struggling for safe drinking water. As per BMC data, 36 percent of the city’s total population live in slums. 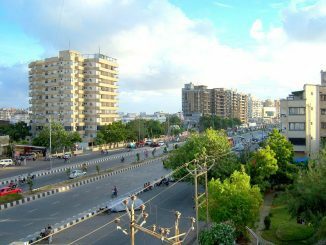 According to the city sanitation plan for Bhubaneswar, jointly prepared by the National Institute of Urban Affairs (NIUA) and the Consortium for DEWATS Dissemination (CDD) Society, exponential projections show that the population of Bhubaneswar will hit 920360 in 2019; the consequent water supply demand will be 143 MLD (Millions of Litres per Day). It also says that, in 2025, the population is projected to increase to 984,903 with the consequent water supply demand being 152 MLD. As the projection indicates increasing water stress in the city, water issues in the slums will likely be aggravated as well. This necessitates the government and the BMC to implement the project on a wider scale, to include all slums within the coverage of water ATM network and ensure supply of safe drinking water for all slum dwellers. Even the smaller slums, where the number of residents is lower, must not be excluded for the reason that the possibility of daily water uptake would be low. Basudev Mahapatra is a senior journalist based in Bhubaneswar. Water ATMs installed and maintained by several private vendors in collaboration with the Delhi Jal Board and municipal corporations are providing purified potable water for as less as 30 paise a litre in certain areas, So, where are these and how do they function? Can ‘open street’ events lead to fewer cars in our streets? 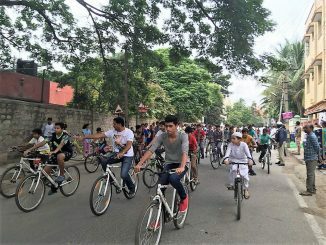 Cycle days, Raahgiri, Pathotsav — events that promote pedestrian-only zones are catching on in a big way, but the larger question of whether they can have a real, sustainable impact on how people commute in cities remains to be decided. Most cities have suffered because of CEOs who keep changing or have additional responsibilities and charges that make it difficult to focus exclusively on the Smart City projects.